A few years ago the William Penn Foundation led the charge and created the Delaware River Watershed Initiative (DRWI) giving focus to the Watershed as a whole. The Foundation created a number of focus areas (clusters) throughout the Delaware River Watershed. One of the focus areas is the Upstream Suburban Philadelphia Cluster, which includes Cobbs Creek, Wissahickon Creek, Pennypack Creek, Tookany/Tacony Creek and Poquessing Creek, where they lie outside of Philadelphia. Local watershed organizations, including Darby Creek Valley Association were invited to participate in this process and become participants in this important initiative. 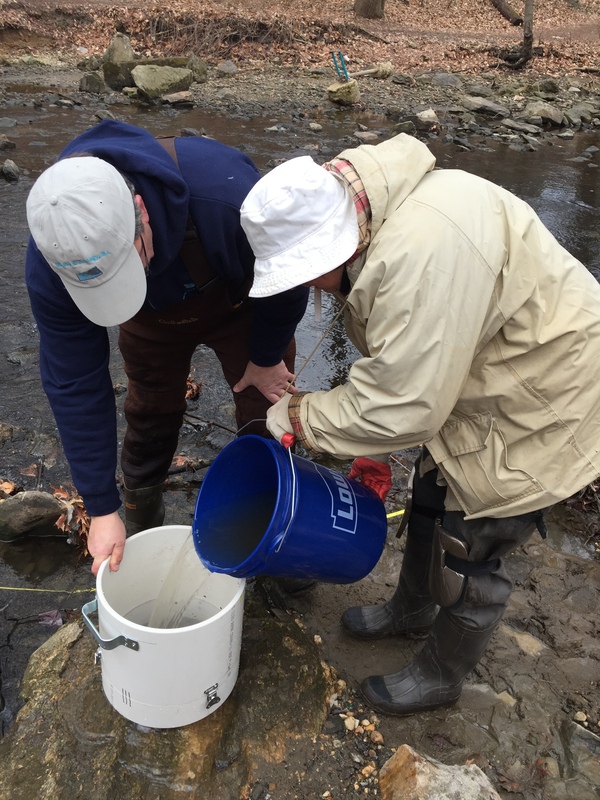 During the first Phase of the DRWI program (2014 through 2017), DCVA partnered with Lower Merion Conservancy(LMC) to monitor water quality in Cobbs Creek, which is Darby Creeks largest tributary with a watershed of about 11.8-miles. The monitoring during Phase I was focused on reaches of Cobbs Creek where there are opportunities for implementation of water quality improvements, and water quality improvement in the case of Cobbs Creek is all about reducing stormwater flows from its highly urbanized watershed. DCVA was also involved with conducting a variety of public outreach and education programs that focus on educating the public about the importance of recognizing how vitally important it is to protect and improving water quality in Cobbs Creek. LMC chose to monitor water quality at locations on the East and West Branches of Indian Creek (tributaries of Cobbs Creek). DCVA began monitoring water quality in 2014 at two locations on the main stem of Cobbs Creek and at two locations on Naylor’s Run, another large tributary of Cobbs Creek. In 2015 we added two more locations, one on each creek. Then in 2016, DCVA received some supplemental funding from the Academy of Natural Sciences at Drexel University to add an additional seven locations in the headwaters of Cobbs Creek. That brings the total number of sites DCVA monitors on Cobbs Creek to 13 (10 on main stem Cobbs Creek and three on Naylor’s Run). With grant funds provided by William Penn Foundation, DCVA was able to purchase a portable meter for measuring water quality parameters at the monitoring locations and two microscopes for identifying benthic macroinvertebrates (primarily aquatic insects) in the samples we collect annually at all 13 locations. DCVA’s monitoring efforts include annual (generally in March) benthic macroinvertebrate sampling. That sampling is focused on aquatic insects that are great predictors of water quality. We collect water samples quarterly and have them analyzed for nitrogen, phosphorus, chloride, and total dissolved solids. On alternating months we measure temperature, pH, dissolved oxygen, nitrogen, phosphorus and chloride using water quality kits and on the other months we use the portable meter to measure temperature, pH, conductivity, turbidity, dissolved oxygen, total dissolved solids and salinity. DCVA has a robust group of Citizen Scientists that are using those kits and reporting the results to a website. All of our monitoring data are being submitted to the Academy and they are rolling it up into the huge database that has been created for the DRWI that tracks monitoring data and reports on water quality at locations throughout the Watershed. DCVA recently completed the planning process for the next Phase of the DRWI program. 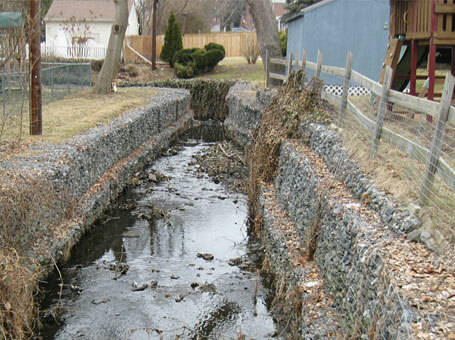 During Phase 2 (2018 through 2021), DCVA will continue to monitor water quality in Cobbs Creek. On November 27, 2017, Stroud Water Research Center installed a near-real-time water quality meter on an unnamed tributary of Cobbs Creek. The meter measures water depth, conductivity, temperature and turbidity. The data that has been collected since Nov. 27th can be viewed at http://drwisensors.dreamhosters.com/charts_main_SL137.php. There are many more meters located throughout the watershed and the data that is being collected by those meters can be viewed at http://drwisensors.dreamhosters.com. DCVA will be using the data from the meter to inform water quality improvement projects within the watershed. 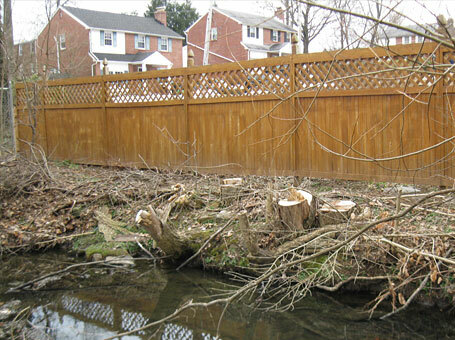 Click here to read more about the Cobbs Creek Cobbs Creek water quality.pdf and Cobbs Creek.pdf and Summary of Open Space Plan for Narberth Borough and the Cobbs.pdf and Cleaning Up and Improving the Cobbs.pdf.